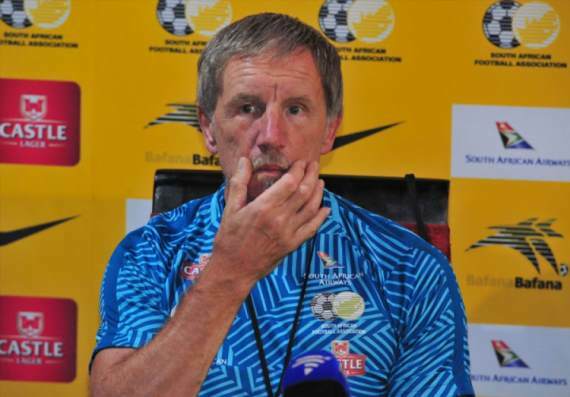 Bafana Bafana coach Stuart Baxter has hinted at the style of play he hopes to implement against Seychelles in Saturday's AFCON Group E qualifier at FNB Stadium. Bafana are hard at work preparing for the crucial game at the Steyn City School in Fourways which is in the north of Johannesburg. Baxter revealed he chose the venue to stage his training camp as it falls in line with how he wants Bafana to set up to play. He told reporters: "The pitches are very good and I want speed, tempo - and players to move and control the ball with pace." In addition, the former Kaizer Chiefs mentor explained the reason why Andre Arendse came back on board as goalkeeper coach in place of his son Lee Baxter. The 65-year-old added that former Bafana striker Shaun Bartlett had been brought on board as a second assistant with a view to potentially handing him a more permanent role. He said: "Lee is highly qualified and, therefore, I had no problem [in appointing him] when Andre's wife was ill (for the 0-0 draw with Libya). "We also have Shaun. We hope he likes us and we like him. So it's a welcome to him."